* learn about BMW of Bellevue's exquisite BMW i-8 on display. Come celebrate the benefits of plug-in electric vehicles (PEVs) with the people who drive them every day. Learn the latest information about PEVs from those who know about the exciting advances which are happening in 2017. 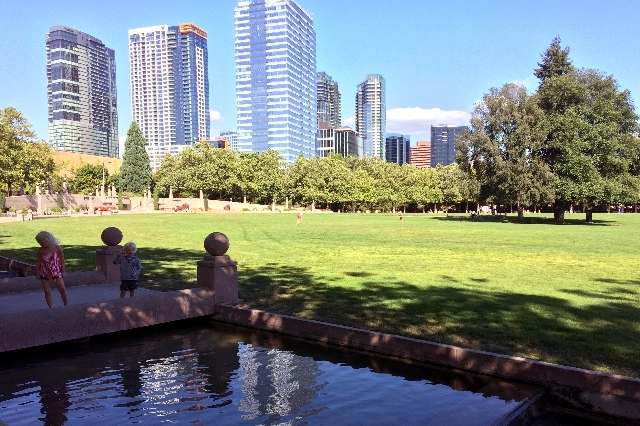 The City of Bellevue has made its just completed Downtown Park available for the gathering. There is plenty of room for people to bring their EVs for display in this fabulous, family friendly location in the heart of downtown Bellevue. Don’t miss this event! Registration is FREE to display your PEV in the park. 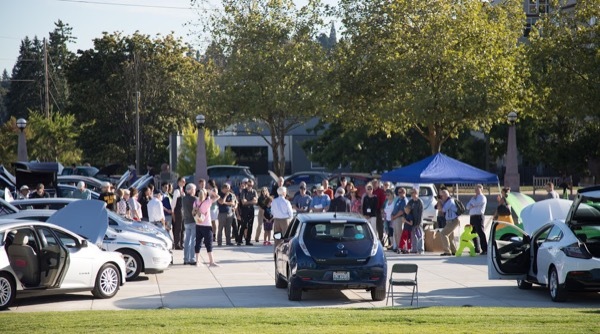 Volunteer (select Washington - Bellevue) to help organize the evening’s activities or just sign-up as someone planning to attend the event so you can receive updates on activities scheduled for the event. get an insider's PEV consumer buying advice from Nissan's #1 EV sales person in the world! You will really enjoy the smile (the EV grin) you can’t help but wear when driving a PEV. Registered attendees report 856,261 electric miles driven.